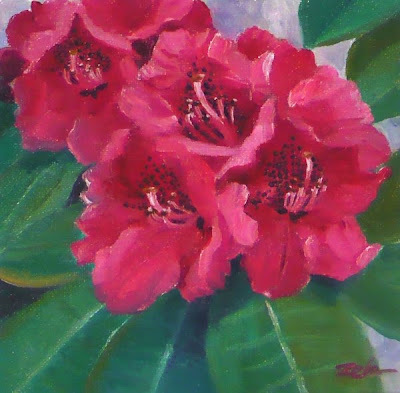 Delicate rhododendron blossoms are always a favorite of mine. These were blooming on a very large bush in Kew Gardens, London. This painting has been sold. Visit my online shop, zehoriginalart.com to see more of my paintings for sale. Thank you for stopping by today.